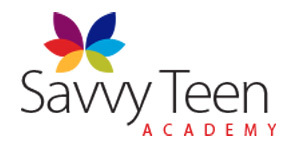 The SavvyTeenAcademy is a four-day intensive summer camp that prepares you for real life. In September you will be starting your 5th or 6th Year. The Leaving Cert is looming large, and then college, and then fending for yourself. How will you deal with it all? Succeed in school and college. Find a great job. Build self-confidence and resilience. Communicate with poise, so that you know you will be heard. We've done it, and we'll show you how.